Get dolled up with a no fuss slip-on by Jerusalem Sandals. 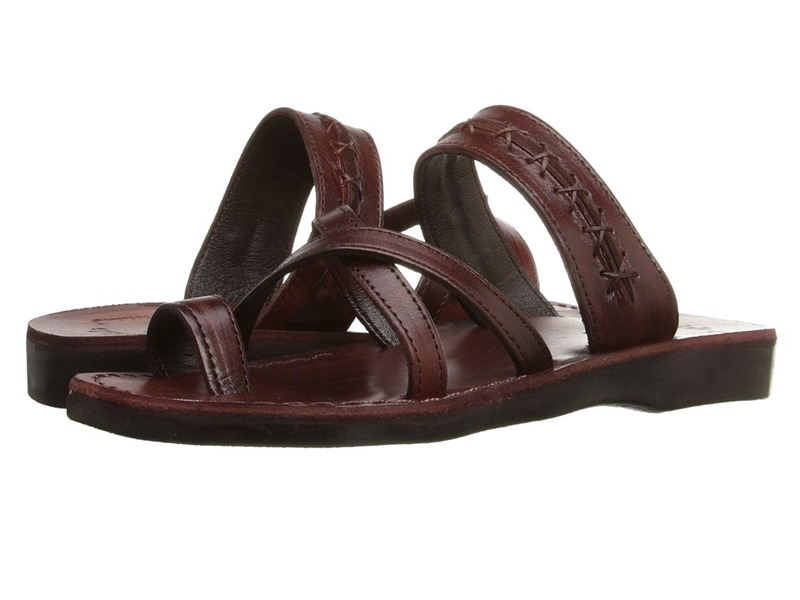 Handmade leather upper with crisscross straps and stitching details. Easy slip-on. Leather lining. Lightly cushioned footbed. Natural rubber outsole. Imported. Measurements: Heel Height: 1 in Weight: 7 oz Platform Height: 1 2 in Product measurements were taken using size 38 (US Women~s 7), width M. Please note that measurements may vary by size. Weight of footwear is based on a single item, not a pair.